It is the mission of Alexander’s Highland Market to provide a full service neighborhood grocery store with a strong sense of community ownership. Rooted in Biblically based principles of welcome, service to our neighbor, disciplined work ethic, and charity, we intend to provide an inviting and warm atmosphere, amiable customer service, the finest quality products available utilizing local brands and growers whenever possible, and a selection of wholesome products that can only be delivered by a locally-owned family operation that shares and understands the history and unique culture of our community. Our customers will find that Alexander’s Highland Market is owned and operated by their neighbors. And like visiting a neighbor, our customers will experience a similarly warm and friendly welcome. We’re from here too! And permeating our entire organization is a sense of pride that comes from belonging to this special community in the heart of South Baton Rouge. We are in the Service business! We are in the great business of serving customers, and we embrace that calling. Our unmatched customer service will include cheerfully carrying out customers’ groceries to their vehicles. Our store will be staffed with professionals ready and able to explain our products and help our customers with food questions. We welcome the involvement of our customers and any special orders or additional service suggestions that they may provide. For us it comes down to recognizing that if we place our customers’ welfare first, God will take care of the rest. In our state-of-the-art yet classical facility with old-world styling we will provide catering services, tailgate packages, a full service delicatessen, and uniquely prepared meals from our family’s recipes that represent the extraordinary culinary traditions of our local river parishes’ cuisine and other popular ethnic tastes. Our old-fashioned meat department staffed by expert butchers will offer locally raised meats, organic meats, grass-fed beef, prime grade meats, and aged beef. 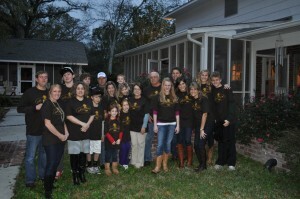 In addition, we are proud to introduce our family’s renowned Andouille, smoked sausage, specialty sausages, and boudin. Our fresh seafood market will feature locally caught fresh water and gulf seafood. We will operate an expansive produce department featuring locally grown sustainable and organic produce. We will enrich the shopping experience with a full service bakery, coffee shop and 100-seat cafe, floral, and pharmacy departments. 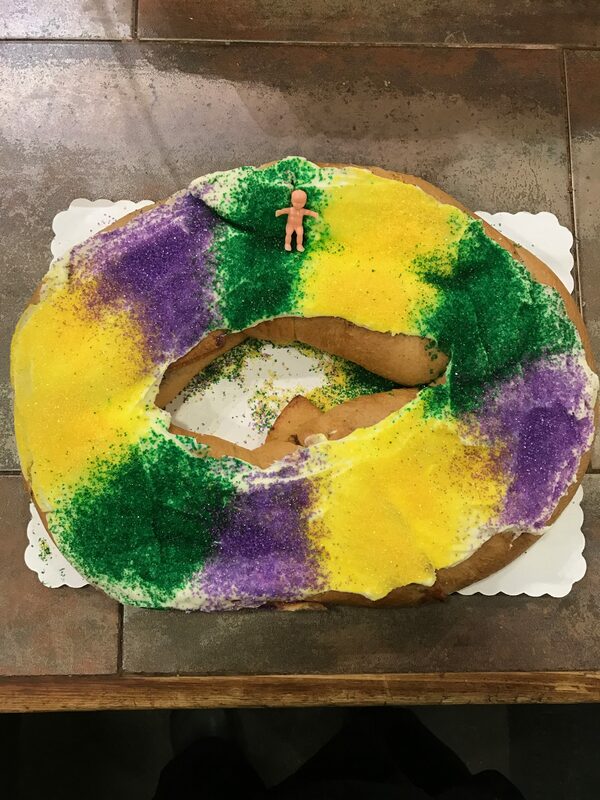 With one of the most extensive wine and liquor selections in south Baton Rouge, our mission is to be the store of choice for the neighborhood, the connoisseur of good food, and the amateur chef. Inevitably, the Biblical principals of welcome, service, and charity begin at home. Our family can trace our earliest ancestors to the voyage made by Iberville to Baton Rouge in 1699. For us, south Baton Rouge IS home. That sobering fact reinforces our resolve to be a positive influence as we take up our role of feeding families and building community in south Baton Rouge. Part of that role includes our commitment to donate 5% of our annual after-tax profits to not-for-profit organizations. But it goes further than that. We further commit that because we believe charity begins at home, our charitable focus will be on local charities that help local people. That’s what being part of a family is all about. Ensure a positive and healthy interaction between team members. Foster advancement through learning opportunities. Provide fair wages and benefits. Provide rewards and incentives for extra effort. Honor our commitments to our vendors while recognizing that all of our partners must share in our success if we are to deliver on our commitments to the customer. Foster the sustainability of our communities by utilizing local suppliers and the services of local professionals. • Reducing waste and consumption in our operations. Alexander's Highland Market is the product of nearly a century of one family's service in the grocery business. 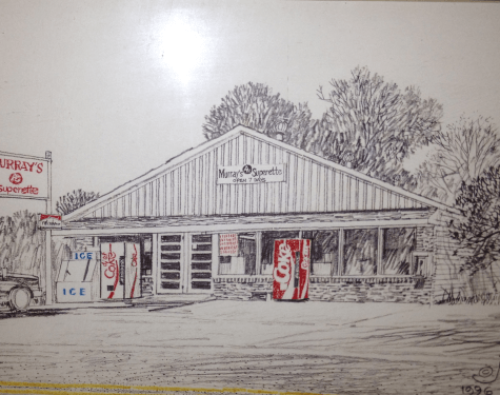 Richard Alexander opened the first Alexander’s Grocery in Ascension Parish in 1921. 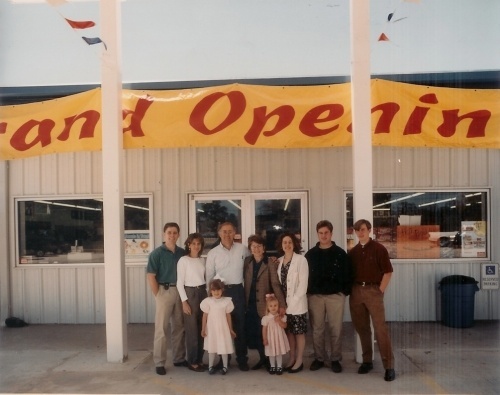 Richard's grandson, Murray, took over operations and renamed the 2,000 square-foot St. Amant store in 1977. Murray replaced the original wood-frame building two decades later with a 12,000 square-foot modern facility that continues to operate as Murray's Supermarket on Highway 429 today. Now, a fourth generation owns and runs that store as well as the new Alexander's Highland Market. In October of 2011, the Alexanders purchased 3.5 acres at the corner of Highland Road and Perkins Road East to build a 37,000 square-foot state of the art facility that will house a cafe, bakery, deli, floral department, and pharmacy along with an old-world style market offering organic foods, locally harvested produce, fresh seafood, choice meats, and an extensive wine department. Brothers Lathan, Ryan, and Reid Alexander lead this effort to ensure the family’s name and reputation for excellence continue. Locally owned and operated, Alexander's Highland Market wants to continue its legacy of service by feeding families and building community in South Baton Rouge and Prairieville. Let us know how we can better meet your needs.